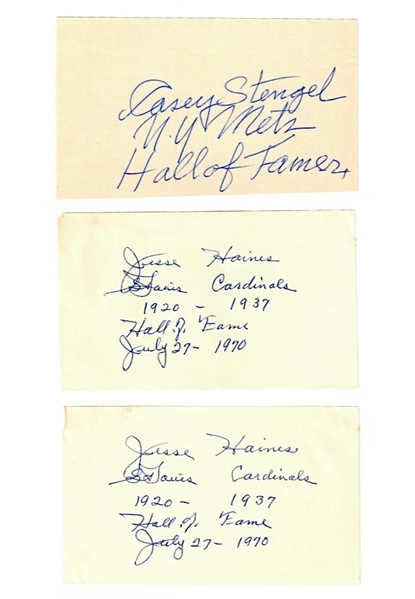 This lot features a combination or 3x5” and cuts from many Hall of Famers. Highlighted by multiples of HOFers Lefty Grove, Chas Gehringer, Casey Stengel, Frankie Frisch, Jesse Haines, Carl Hubbell and a single Warren Spahn among others. Accompanied by a LOA from JSA.